T oday’s enterprises operate in a dynamic and disruptive environment. Customers’ preferences are changing rapidly, vastly influenced by the advent of disruption in technology. This is forcing enterprises to not only rethink their customer engagement model which now needs to be extremely agile and stable, but also embrace digital innovation to connect with their customers faster. However, an improperly defined vision, cultural mind shift, disconnected people and processes, lack of data, missing skills, and regulatory compliances often pose roadblocks to an enterprise’s operational agility. While business and IT alignment is a must for change, what is more important is how IT can be a significant differentiator for business. At Nagarro, our Enterprise Architecture (EA) services focus on enabling our customers to overcome these challenges created by obsolete business models and technology platforms. Our approach to EA is woven around leveraging an optimal blend of cutting edge as well as mainstream technologies. Our EA framework redefines customer engagement by transforming a system of records to a system of engagements, coordination, and insights. Our offerings in EA Consulting comprise of the 3D (Discover-Define-Deliver) architectural framework. It is our strategically focused toolkit which enables digital transformation in an enterprise by harnessing the strength of enterprise architecture and converging digital architecture in it. The 3D framework helps induce digital DNA in an enterprise through our proven 4RAPID (4R) execution pillars: Rapid Teams, Rapid Iterations, Rapid Adoption, and Rapid Apps for speedy results and faster time to market. Sharing wish list and goals (inputs from CxOs). Developing an understanding and ideating. Profiling customer journey and value chain. Identifying and inventorying areas/systems of digital taxonomy of your organization. Conducting gap analysis, impact analysis, and ensuring prioritization. Identifying what to change, upgrade, or remove. Identifying the impact to reach future state. Providing an effective digital journey. Designing the integration road map. Designing the on-boarding road map. Attain digital nirvana through our transformation offerings in Enterprise Architecture Consulting. 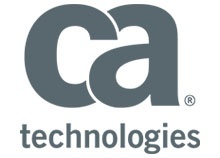 As a CA API Management (formerly Layer 7) Partner for EMEA, we design and implement solutions around its enterprise-scale API security and management software.